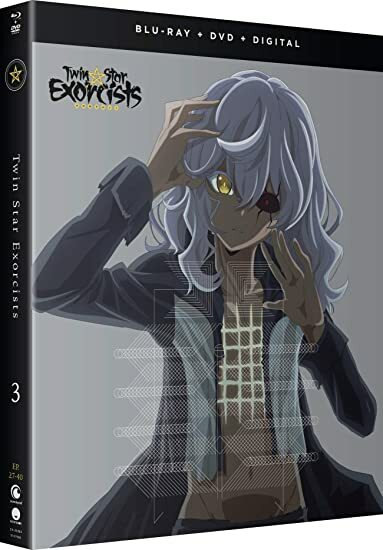 Twin Star Exorcists: Part Three - BUY THIS BLU-RAY! "The star-crossed teens face devastating loss as the battle between good and evil takes a turn for the worse. The imbalance between worlds is traced back to Sae, and to save them all, the ray of sunshine that lit their hearts must now return to her roots. Rokuro and Benio can barely keep it together, and to make matters worse, the leader of the Twelve Guardians has disappeared. All hands are on deck as the beastly Basara continue to plague the land. When Kuranashi’s sinister plan reaches new heights, even Mayura is pushed to her limits. Time is of the essence as the Twin Stars put heart and soul into saving their city in a battle that brings them closer than ever before." THEN SEND IN A COMMENT ABOUT YOUR FAVORITE FUNIMATION TITLE (you may click on artwork above for a refresher) PLUS YOUR NAME AND ADDRESS TO contests@efilmcritic.com or WeLoveHBS@aol.com. (Just one e-mail please.) Put [b]"LIKE MERRIN AND THE EMILY ROSE GUY?" in the subject line and cross your fingers. We will draw names and one of the prizes could be yours. Only 1 entry per household.